A SWARMING OF BEES is a murder/mystery. The story opens in the year 664 after the famous Synod of Whitby (Streonshalh) and brings to life the everyday detail of the community perched high on the clifftops. A royal princess in her own right, Hild is a powerful, fair-minded and independent woman. Kings, queens, princes, bishops and commoners all seek her help and wise advice, but when Hild herself needs someone to confide in - it is to Fridgyth, the half-pagan herb-wife, that she turns. When a devastating plague sweeps the land, Fridgyth begins to suspect that not all the deaths are caused by the devastating sickness. 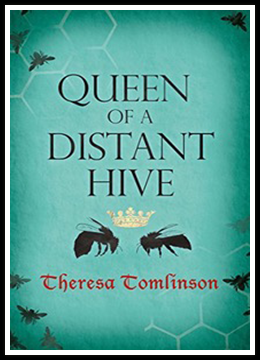 Rather like an Anglo-Saxon Miss Marple, she quietly sets out to investigate – and even when her friend the abbess warns her not to meddle – still curiosity drives her on. Will Fridgyth herself fall foul of dark, political forces? This is a new venture for Theresa Tomlinson. In recent years she has become fascinated by the Anglo-Saxon period and this is her first novel aimed at adults. 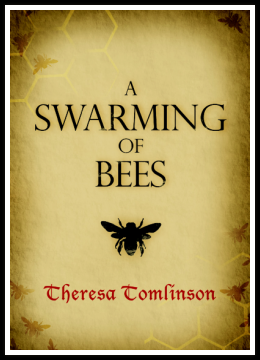 A sample of the opening chapter of 'A Swarming of Bees' is available to read for free on Amazon - click here to view it. Fridgyth the herbwife sets off on a second adventure. Abbess Hild's clifftop community must act as host to the unpopular widow of the fierce Mercian king. When a young local tanner is found dead, Fridgyth is determined to discover if there is a possible link between him and the new visitors. Available from THE WHITBY BOOKSHOP and as a kindle and paperback on Amazon.